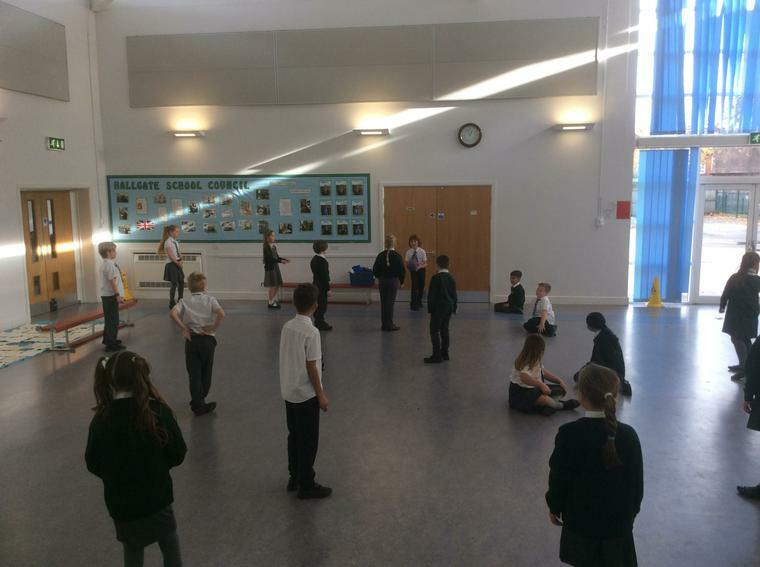 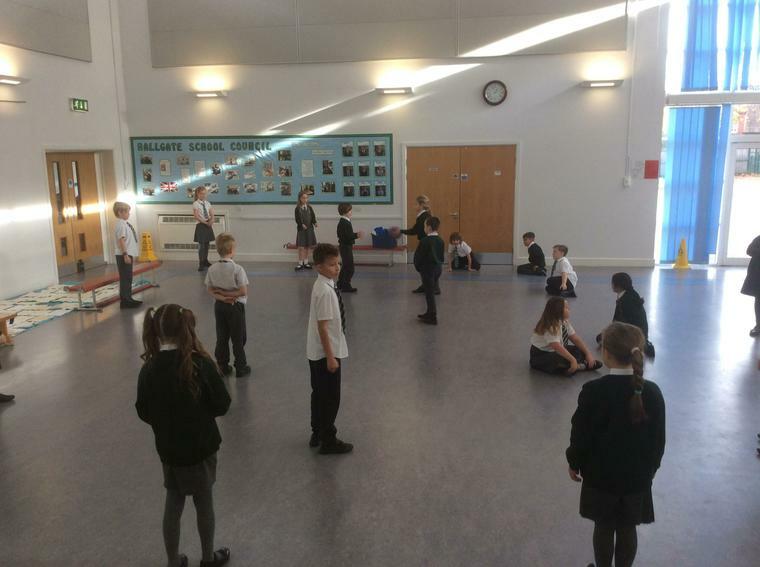 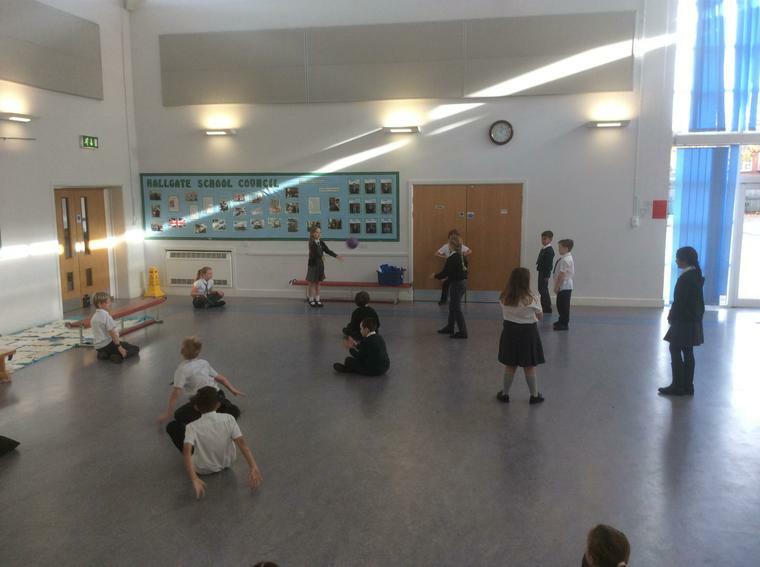 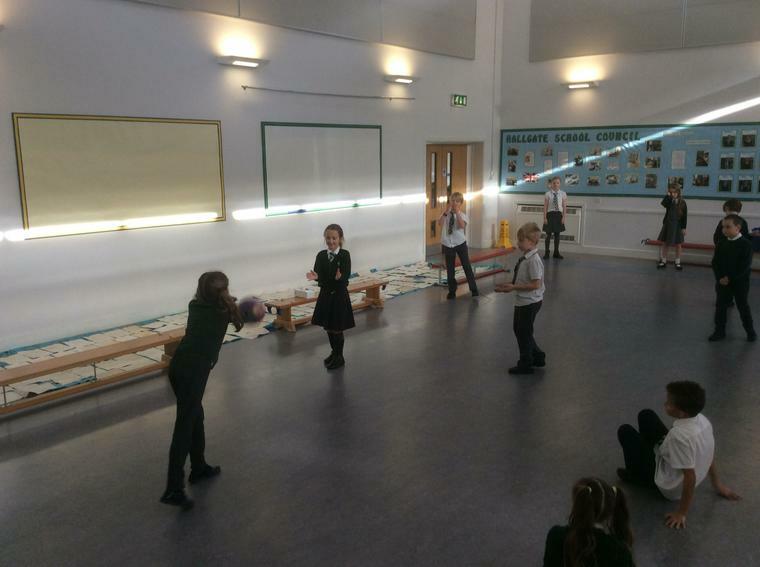 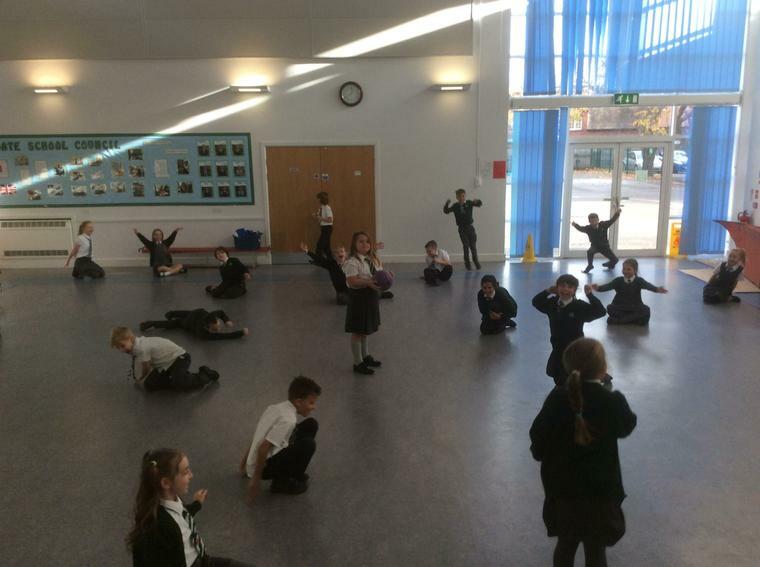 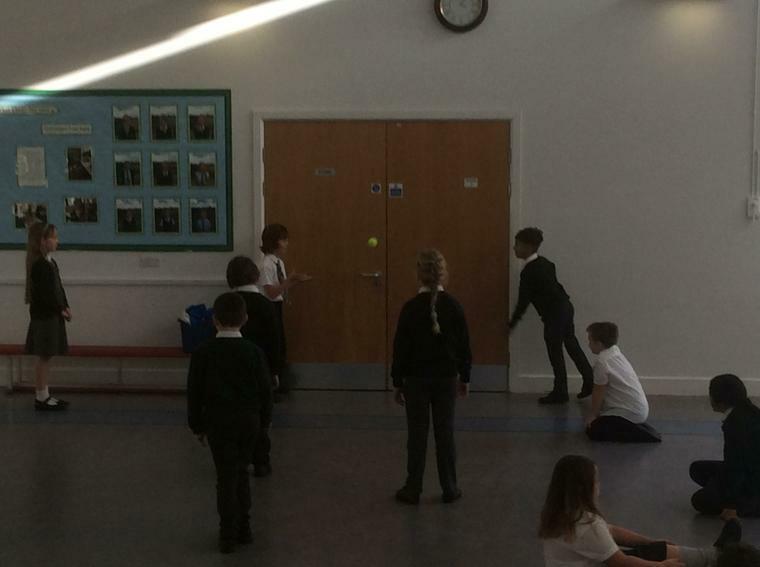 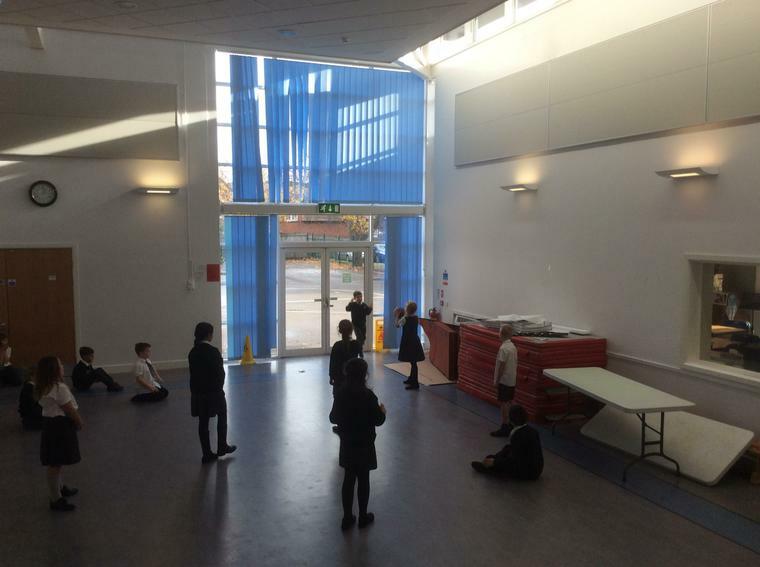 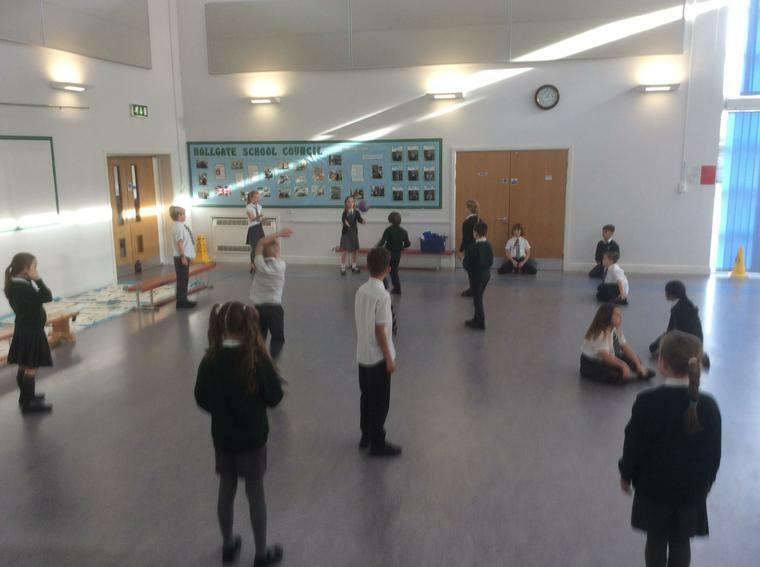 We have been extending our class building activities by working together to pass a ball to everyone in the class without dropping it. 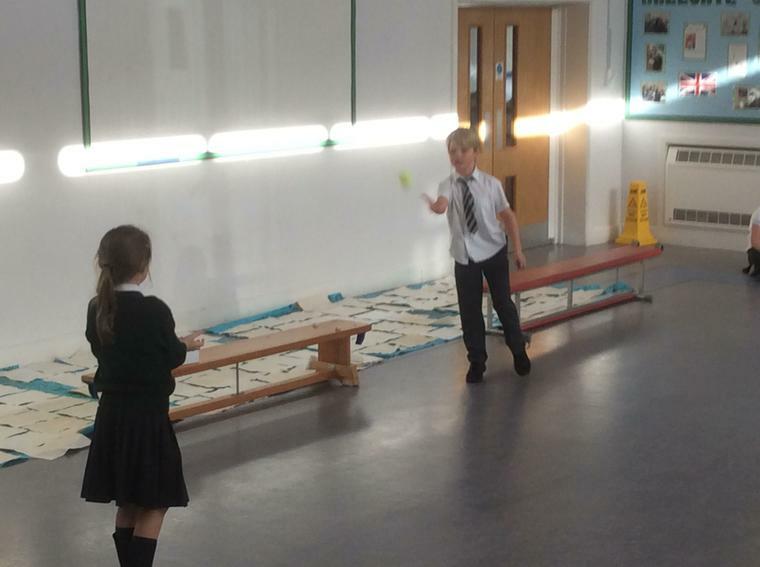 We managed to successfully achieve this with a volley ball, and now we are challenging ourselves to do the same with a tennis ball. 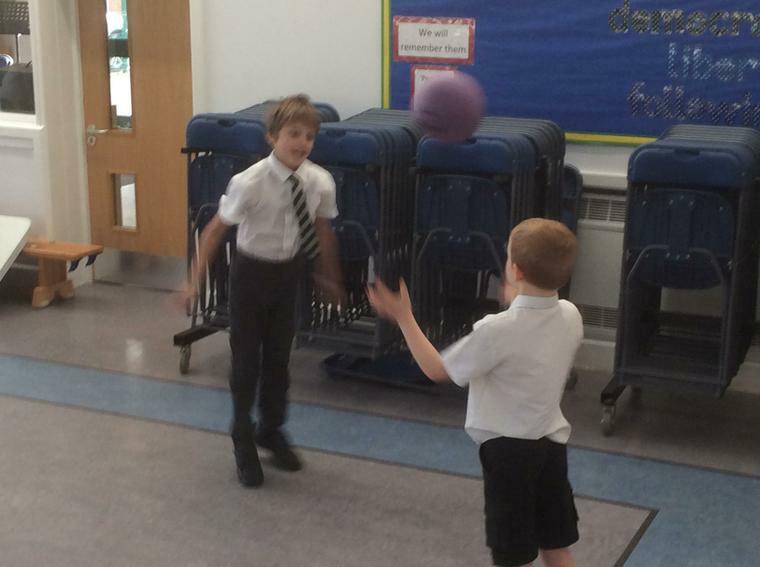 We have been working together on our co-operation skills to keep a balloon in the air for as long as possible. 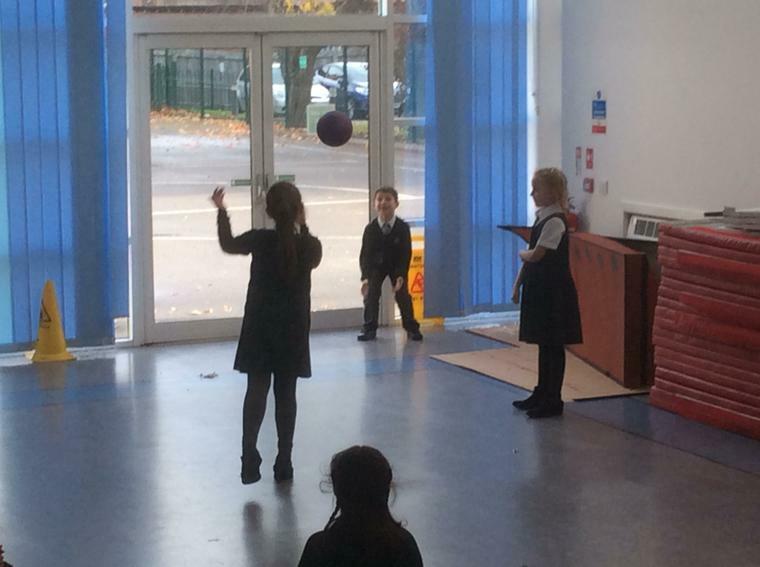 We think we did quite well!